Medicines Law & Policy brings together legal and policy experts in the field of access to medicines, international law, and public health. We provide policy and legal analysis, best practice models and other information that can be used by governments, non-governmental organisations, product development initiatives, funding agencies, UN agencies and others working to ensure the availability of effective, safe and affordable medicines for all. We are grateful to the IDA Charity Foundation and Health Action International, which provided financial support for the development of some of the content published on this site. We would like to thank Prof. Frederick Abbott, Prof. Carlos Correa and Roger Kampf (in his personal capacity) for their useful comments on drafts of the materials posted in the tools section of the site. While we endeavor to provide information that is as accurate as possible there will always be room for improvement. We welcome any comments you may have. The information provided on this website is not meant to be formal legal advice. Ellen ‘t Hoen, LLM PhD. is a lawyer and public health advocate with over 30 years of experience working on pharmaceutical and intellectual property policies. From 1999 until 2009 she was the director of policy for Médecins sans Frontières’ Campaign for Access to Essential Medicines. In 2009 she joined UNITAID in Geneva to set up the Medicines Patent Pool (MPP) She was the MPP’s first executive director until 2012. In 2005, 2006, 2010 and 2011 she was listed as one of the 50 most influential people in intellectual property by the journal Managing Intellectual Property. 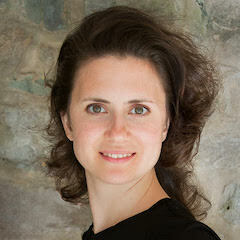 She has worked as an advisor to a number of governments, NGOs and international organisations. She is currently a researcher at the Global Health Unit of the University Medical Centre at the University of Groningen, The Netherlands. She has published widely on medicines law and policy issues. Her latest book “Private Patents and Public Health: Changing intellectual property rules for public health” was published July 2016. She has a Masters of Laws from the University of Amsterdam and a PhD from the University of Groningen. Pascale Boulet, LLM. is a lawyer and an expert in patent searches and patent landscapes on medicines in developing countries, with over 20 years’ experience. Pascale co-authored the first WHO publication on the impact of intellectual property on access to medicines, Globalization and Access to Drugs: Perspectives on the WTO/TRIPS Agreement, published in 1997. Since then she has worked and consulted widely on intellectual property and access to medicines. Recently, she served as a patent consultant to the MPP during the development of its landmark MedsPaL database, where she remains a major contributor. She contributed to the DNDi policy on innovation and access, and today is DNDi’s Intellectual Property and Access Leader. 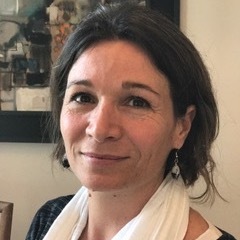 Pascale was previously Senior Legal Advisor of Médecins sans Frontières’ (MSF) Campaign for Access to Essential Medicines, and also served three years in the WHO Department on Essential Medicines. She has a Master of Laws in International Economic Law from the University of Panthéon-Sorbonne in Paris. Kaitlin Mara has been writing about international intellectual property and innovation policy for a decade. From 2007 to 2010 she was the Associate Editor at Intellectual Property Watch, where she reported on several World Health Organization negotiations, including the process that resulted in its Global Policy and Plan of Action on Innovation, Intellectual Property and Public Health. In 2010, she joined the newly-formed Medicines Patent Pool as its first head of communications. Since 2014, she has consulted on issues of intellectual property and access to medicines, including for UNITAID, Médecins Sans Frontières and Health Action International. She is also the editor of Ellen ‘t Hoen’s latest book. When not working on access to medicines, she thinks about access to information and environmental technology. Kaitlin has a Masters of Science from the London School of Economics. Katrina Perehudoff, MSc LLM PhD, is a health scientist and legal scholar with over a decade of experience in pharmaceutical policy. 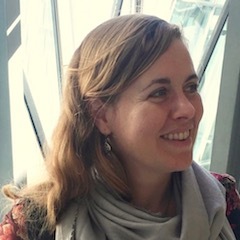 Katrina has five years of experience advocating for access to medicines and their rational use in European pharmaceutical policy at the NGOs Health Action International (the Netherlands) and The European Consumer Organisation (Belgium). 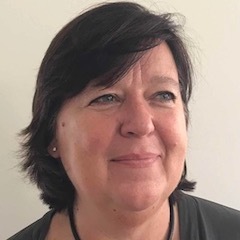 From 2013 to 2015 Katrina managed the Belgian-arm of a multi-country clinical trial testing a new tool to improve hospital prescribing for older people at the Ghent University Hospital. Since 2015 she has consulted on human rights, intellectual property and pharmaceutical policy issues for non-profit organisations including the FXB Center for Health and Human Rights at Harvard University and the Medical Human Rights Network. Katrina is an alumna of the Comparative Program on Health & Society at the Munk School of Global Affairs (2017) and the Rotary Ambassadorial Scholarship program (2007-2008). Katrina is currently a post doctoral researcher at the International Centre for Reproductive Health- a WHO Collaborating Centre for Research on Sexual and Reproductive Health at the Ghent University. She holds a 2018-2019 Post Doctoral Research Fellowship at the Dalla Lana School of Public Health, University of Toronto. She has published on medicines policy and practice. She has a Masters of Science (health sciences) from the Vrije Universiteit Amsterdam, a Masters of Law (European law) from Ghent University, and a PhD from the University of Groningen.